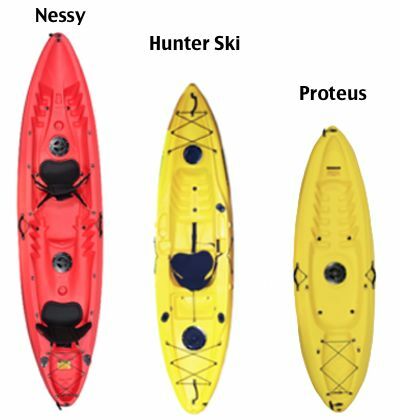 At Hunter Ski, we manufacture 3 sit-on-top kayak models, namely the Hunter Ski, the Nessy and the Proteus. 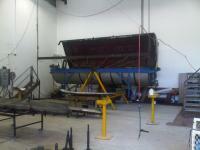 All three of these can be converted for fishing. The Hunter Ski is a flat water specialist, the most comfortable, most stable kayak allows a fresh water professional to spend all the hours he needs to on the water without having a bent back after the day. The Nessy is the perfect recreational double kayak, with a third seat for a child or for use as a large single seater. The Proteus is a short recreational single is the obvious next addition to the Hunter Ski range. Again we have gone for practicality, slick look and user friendliness. After 8 years of on hand experience, we believe we can give you the best advice and service when it comes to plastic sit-on-top kayaks. The ultimate all round kayak!